For meeting the diverse requirements and demands of customers, we trade, supply and export Weight loss drugs. Perfect nutritional supplement, our products are available in different size of packs at most competitive prices. Obtained from the trusted and authentic vendors of the market, these products are properly packed by our packaging experts to ensure safety. 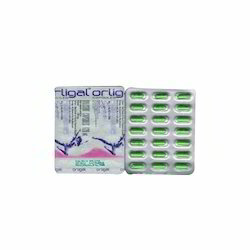 Lopid Gemfibrozil 300 mg Capsules is a cholesterol-regulating medication used to lower the levels of triglycerides in people with pancreatitis. Gemfibrozil helps reduce very high blood cholesterol levels in people who have not responded to diet and exercise. This medicine can also be used to decrease very low density lipoprotein (VLDL) cholesterol ("bad" cholesterol) and increase high density lipoprotein (HDL) cholesterol ("good" cholesterol). It is prescribed to prevent coronary heart disease as well. Slimex Capsule weight loss anddiet capsule work with your body to achieve result you can see. The unique combination of safe, natural ingredients in slimex is formulated to attack the fat at the cellular level. So regardless of external factors such as diet or physician activity anyone can lose fat. 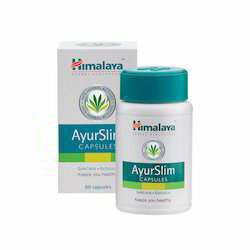 We have established ourselves as a renowned wholesaler, trader, retailer and exporter of high quality Ayur Slim. This medicine has a favorable effect on weight reduction and lipid profile. Our offered medicine limits fat production in the body and aids in body weight reduction. The offered capsule should be taken in conjunction with a reduced calorie diet and half an hour of exercise on a daily basis. 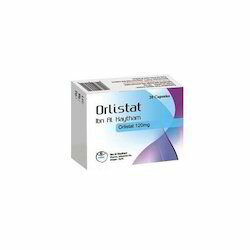 We have achieved expertise in trading, supplying and exporting Orlistat Capsules that are the ideal nutritional supplement. These are procured from the reliable and certified vendors of the market, who make these using quality ingredients. We also provide customized packaging for all the products as per the needs and demands of customers. With the help of our experienced engineers, we are able to wholesale, trade, retail and export optimum quality Orlitrex 120 mg. This medicine is used together with a reduced-calorie diet and weight maintenance to treat obesity in people with certain risk factors like diabetes, high cholesterol, high blood pressure and triglycerides. We produce these medicines from renowned vendors of market.